CrossRope Review - Why the CrossRope Revolutionizes Jump Roping! 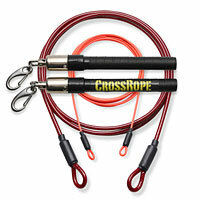 Does the CrossRope Revolutionize Jump Roping? 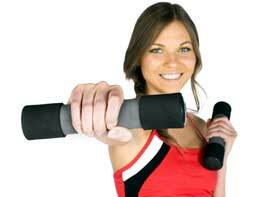 A jump rope is a length of rope with two handles used for jumping by swinging it over the head and under the feet. From boxers and mixed martial arts fighters to kids on the playground, many people use the jump rope for multiple purposes. It seems funny that the same piece of equipment used by kids on the playground is the same piece of equipment used to train our elite fighters. However, the CrossRope is here to revolutionize how we train by giving us a high performance product that is way more than just a jump rope. The CrossRope is an innovative system for jump roping using different cable options and two high performance handles that not only improves your jump roping power and skill, but your overall fitness and explosiveness. Not only did I personally test out this product by taking myself through some grueling workouts, but my colleagues and our clients also went through some laborious workouts with it as well and let me tell you this is not just some jump rope. The cable ropes range from a swift 1.9 ounces to a dense 3lbs with two interchangeable high performance handles. The quick handles seemingly fit the lighter cables while the rugged handles seemed to give you more leverage with the heavier cables. The lighter cables and quick handles are great for improving quickness, agility, and explosiveness capability while the heavier cables used with the rugged thicker handles are phenomenal for developing jump roping power and strength. Who is the CrossRope for? From your everyday fitness enthusiast to your elite fighters, the CrossRope’s interchangeable cable system and handles make it fit for anyone wanting to improve or add to their overall fitness and athleticism. Whether you want to do sport specific workouts, or just improve your overall fitness, the CrossRope has a cable for you. Overall, the CrossRope is an excellent workout tool to improve performance and can be used anywhere from commercial gyms and fitness studios to your own personal home gym or backyard. If you’re into jump roping, this is a must have workout tool. The CrossRope has a plethora of benefits such as improving endurance, quickness, explosive power, jump roping strength and agility. However, it should be noted that any kind of jumping activity should be performed on impact absorbing surfaces. Flooring surfaces such as asphalt, concrete, or any other hard surfaces should be avoided to prevent extra wear and tear on your joints, and this will protect the vinyl covering on the CrossRope cables too. Does our CrossRope review have you craving more? Learn why creator Dave Hunt decided to revolutionize jump roping with his CrossRope, and find available CrossRope options, pricing, and more at CrossRope.com.